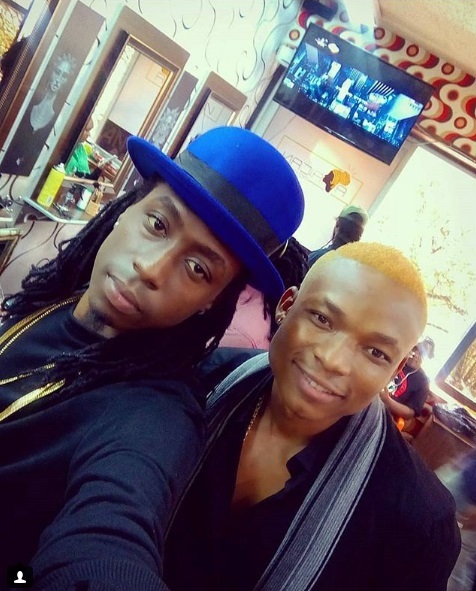 Home / Editor's Choice, Entertainment News, Featured Articles, Gossip and Drama / OTILE BROWN gets a new hairstyle after VERA SIDIKA dumped him, the guy has gone blonde (PHOTO). OTILE BROWN gets a new hairstyle after VERA SIDIKA dumped him, the guy has gone blonde (PHOTO). Monday, August 20, 2018 - The much hyped affair between fast rising singer Otile Brown and Vera Sidika has flopped. Vera dumped Otile on Instagram and accused him of using her to propel his music career. Otile has changed his hairstyle and gone blonde, perhaps to forget his past with Vera Sidika. Check out this new hairstyle.